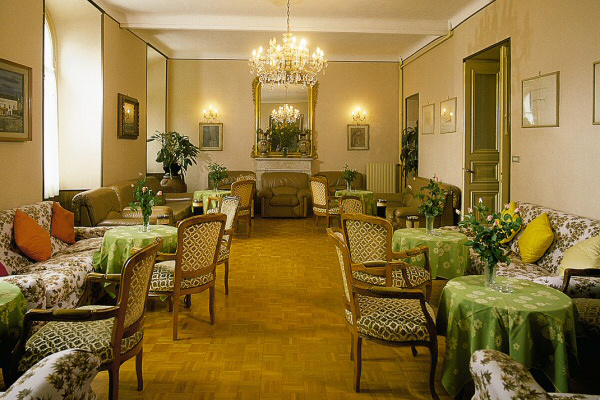 The Hotel Eden offers a welcoming atmosphere with every modern comfort. The perfect place to book a stay for a family with children, or those traveling with their pets, or anyone who wants to enjoy a relaxing holiday by the swimming pool. The Hotel Eden 0ffers lift, salon, television room and games room, free wireless internet throughout the public areas, free private parking, garage and swimming pool. 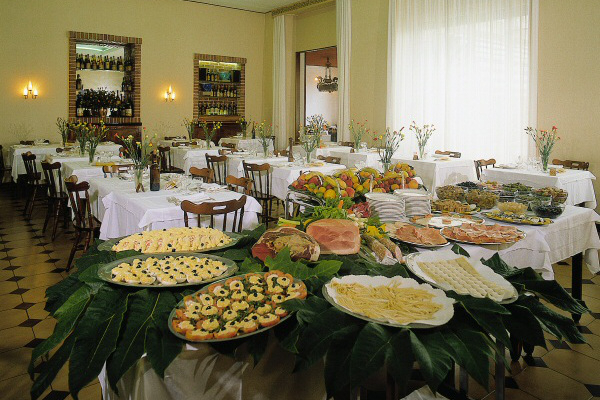 The hotel has 70 rooms (of which 26 are air-conditioned) with bathroom or shower, telephone, satellite TV, minibar, hairdryer and security safe. 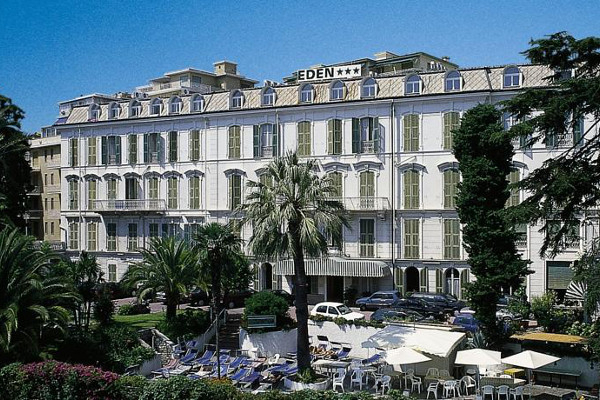 The Hotel Eden is famous for its restaurant which offers specialties from Ligurian cuisine, as well as great breakfasts. 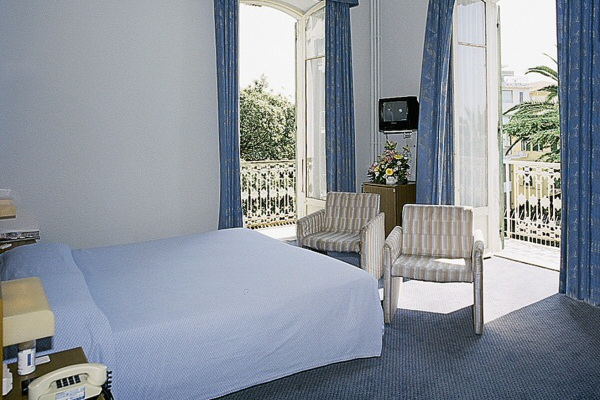 Children up to 6 years of age can stay overnight free of charge, having the use of cot, small bed or extra bed. Pets are allowed free of charge in the hotel, upon request. 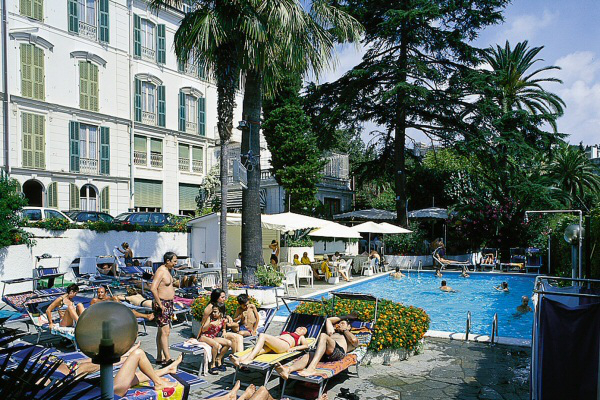 Situated 200 m from the seafront, 800 m from the Casinò, 150 m from the tenni courts, 1000 m from the horse riding ground. Autostrada A10 exit Sanremo Ovest. Proceed along Via Padre Semeria for about 4 km until you reach Via Aurelia; at the crossroads turn left and continue in the direction “Centro” for about 200 meters and turn left at the first crossroads for Strada Solaro.